This project was a BIG DREAM come true! 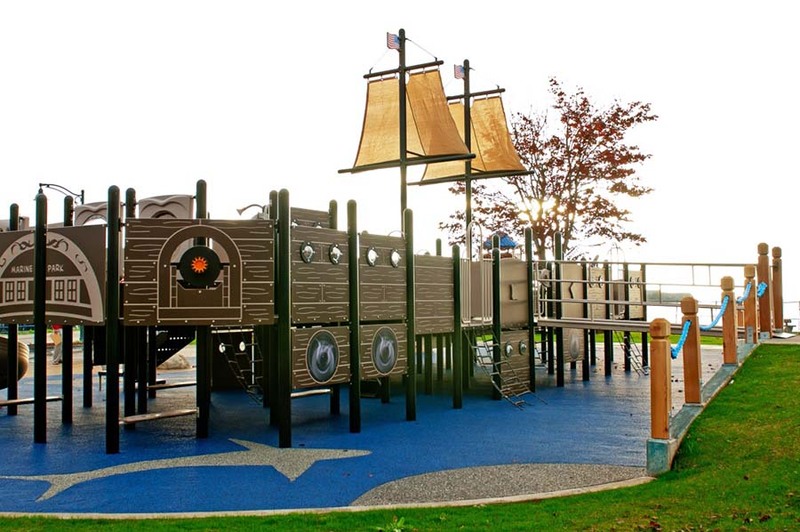 Marine Park in the City of Blaine, Washington now has the most awesome playground complete with a sailing ship, sharks circling within the poured-in-place rubber safety surfacing, climbing boulders, a lighthouse featuring historical images, and is right on the water overlooking White Rock, British Columbia! 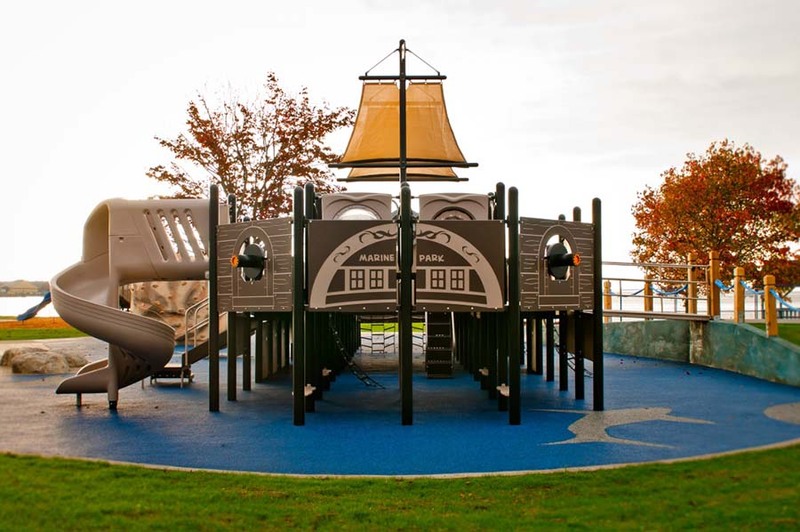 No Fault Sport Group partnered with Buell Recreation to provide our No Fault Safety Surface for this fun, maritime- themed project! 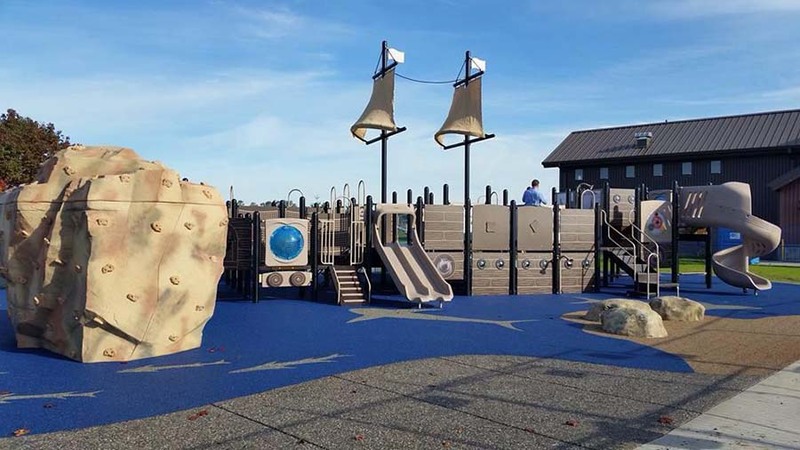 It was a proud moment for the City of Blaine during the grand opening celebration that made the 2-plus year project worth every penny. The community has worked hard to see their vision realized, and the children who visit will have trouble leaving this magical place!